Despite what people can think of, Italy has one of the lowest percentage of "born again christians" in all Europe. The numbers of people that say to know Jesus is very high, due to tradition, but if you scratch the surface of those who think to be Jesus's diciples you will find most of them rarely attend to any church service exept from Christmas, Easter or weddings. They think to be saved only because the were born in a catholic family and the've been baptized as newborn babies. The biggest town in our province, Viterbo, was a place the pope used as his home town, with an ancient palace from where for some period he ruled his secular reign. AndMontefiascone - a way before Castel Gandolfo - was the place he used for summer holidays. The most important building in our town is the Pope's summer Palace. 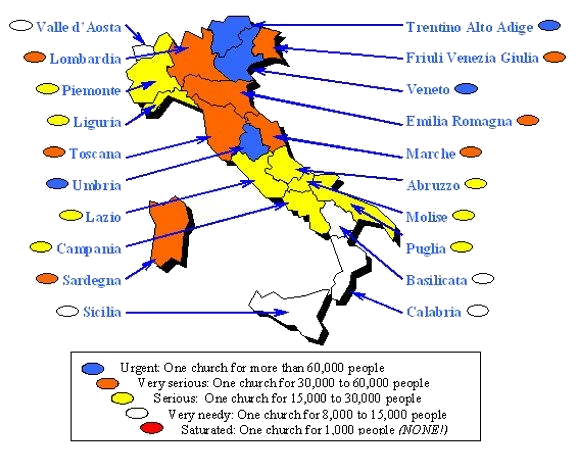 Our area It has one of the lowest percentage of churces per inhabitants in all Italy: in all of our province - almost 300,000 people - there are only 10 evangelical chuches, an in the area of 20 km round Montefiascone - almost 123,000 people - only 5! Our church was planted in 2004 when, after eight years of constant work and prayer by the church in Monterosi, the right conditions emerged for planting a new church in this town of more than eighteen thousand residents, immigrants and tourists. A pioneering work that was, and still is, the first witness of the Gospel in Montefiascone in living memory, established to serve extensive territory between Viterbo and the border with Tuscany and Umbria. The church was first launched with the aim of filling the spiritual void in an area where Catholicism may seem a facade; it is a middle-class area where success is measured by the well-being acquired, but which offers little or nothing to those who, sooner or later , find themselves searching for something more than material wealth. loving others, leading them to know the joy of salvation in Jesus, to enter into a spiritual family of the church, helping them to develop their relationship with God and equipping them to serve and witness. Currently the members participating in the life of our church come from seven different cities located in that circle of 25 minutes, but we are convinced that the Lord will expand our witness further, making this church a possible reference point for people in Northern Lazio, thanks to its easily accessible location (within 25 minutes' drive from our place of worship for more than 123,000 people, nearly 40% of the population in the province of Viterbo), as well as a springboard for other new churches in the province. How can we let people live their lives without having at least once heard the message of salvation that is in Jesus? And how can we bear to see people who know Jesus as part of a family tradition not enjoy a vibrant relationship with him? The work that awaits us, in a region which, until 140 years ago was part of the Papal States of the Church, where the Pope was King, is a continuing challenge. Entering these people's hearts is difficult; by nature they are wary of new things. But if you can conquer them, a handshake is worth more than a signed pact. Our goal is to reach the hearts of those who do not know Jesus or who do not know how to connect to him among those 123,000 people less than 25 minutes away from our church. Therefore we aim to plant a “rabbit” church- also called "small group" - in each of the 16 towns in our area which still don't have a church. As we started with Montefiascone as a centre of our activities, we already did it in 4 towns in our 25 minutes drive area! Since the very beginning of our church we understood the best way to reach the heart of the people around us was to establish a personal relationship of trust and acceptance. With this in mind, we organized events in our town that could serve the needs of our community as well as to share our faith in a bold but not agressive way, such as free English lessons, hosting families in our church buildings when they need a big space for their events, art shows, etc. Among all the activities we organized, the most valued was our English Camps, where we gave free English lessons to students from 8 to 80 years old, but speaking about Jesus and His Kingdom. Italians are very "relational people": so the best way to speak to them about Jesus is being their friends, inviting them in a "safe" place such as... your house. That's the reason why we aim to have what we call "rabbit churches" - or small groups - in each of the 18 towns around our area. All this "rabbit churches" will receive spiritual food meeting togheter during the week in their locations. On Sundays they will come togheter to worship the Lord in a joyful reunion. We do not want to announce Jesus only in our area, as we understand the deep need of all our nation. And we do believe the technology we use in our every day life must be used for the Kingdom of God. 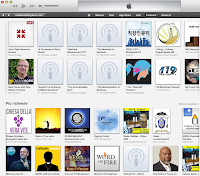 podcast to let a much wider number of people read or listen to our Sunday messages. 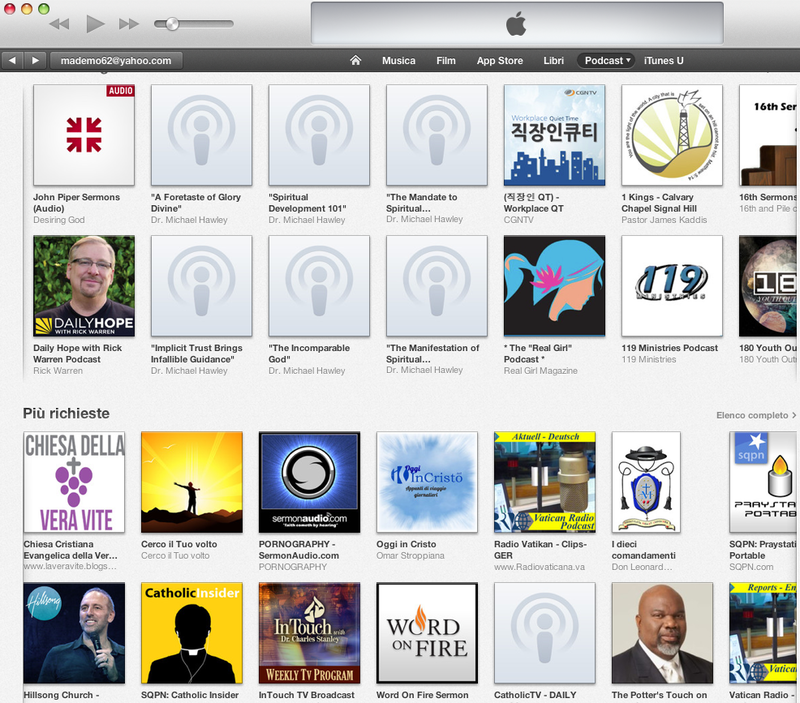 In a short period of time our podcast reached the top of the Italian podcast chart in the "Christianity" section. Statistic says at least 30 people are reading our website pages and 100 people are downloading our podcast messages each day. Our podcast is consistently among the top 10 christian podcast in our country, and is normally in a higher position than the Vatican one. No, we are not talking about this web page, but about the Kingdom of God in this Country! pray for wisdom for the leaders to listen to the voice of the Lord and to be used for His Kingdom. If you decide to pray for us on a regular basis, just let us know, so we can be encouraged by your decision. Images © Marco Delle Monache. Powered by Blogger.